A couple of months ago I was in Michaels, when I came across the Loops & Thread Urban yarn. The soft/squishy material was just too good to pass up. I knew right away that I wanted to make a newborn prop. My good friend Katy over at Truly Katy Photography is always coming up with the CUTEST newborn sessions. I was extremely excited when she said she would help show off this pattern. I mean, seriously, can this photo be any cuter? With a seamless design, these pair of pants will look flawlessly at every photography angle. I fell in love with the color "Navy" as it reminded me of a starry night. Though I used boyish color schemes, this simple pattern would easily combine with all types of prints or solid colors. This pattern is worked in a continuous circle. Do not chain at the beginning of a round (unless otherwise stated). Do not join at the end of each round (unless otherwise stated). 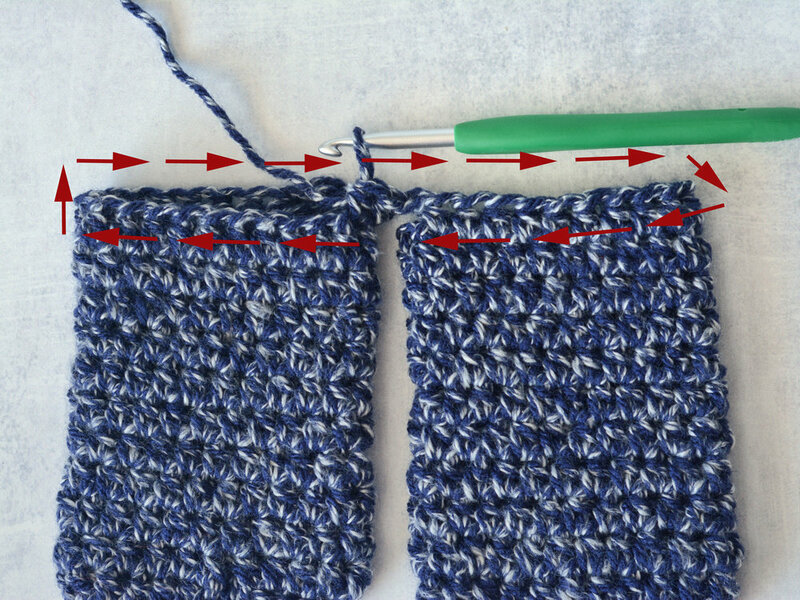 I would recommend using a stitch marker at the beginning of each row. Measurements: Circumference 7 1/2", Length 8"
Sl st into the next st, leaving a long tail, fasten off. Do not fasten off, continue onto waist. Measurements: Circumference 14", Total length 13"
Crotch to Ankle 8", Crotch to waist 5"
Tightly ch 115. Fasten off. Weave in ends. Weave between every other stitch, in the third row down from the top. Row 1. 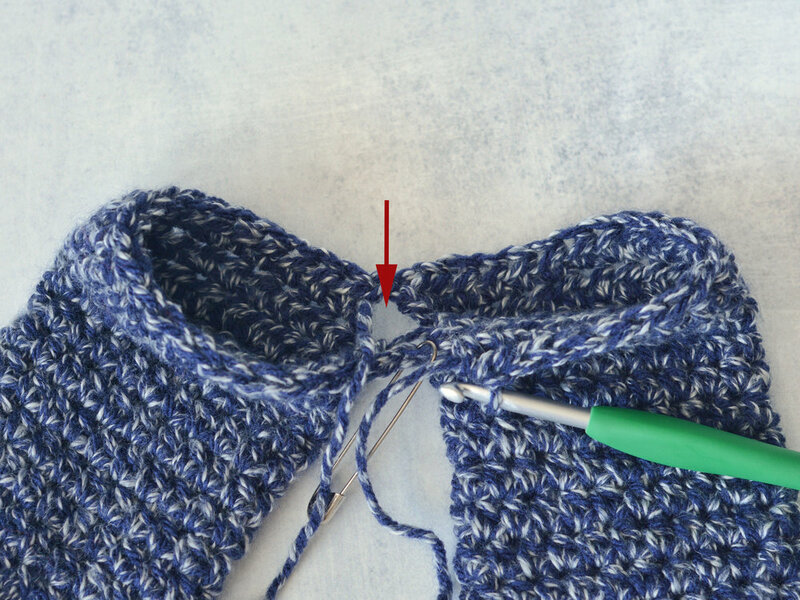 Use beginning tail to sew the bottom ends together. Row 20. In this round will join both pant legs to create the hip and waist portion. Starting in the same st you fastened off in of the first pant leg (see picture below), place 2 hdc in that first stitch and then 1 hdc in each st around (22 sts). 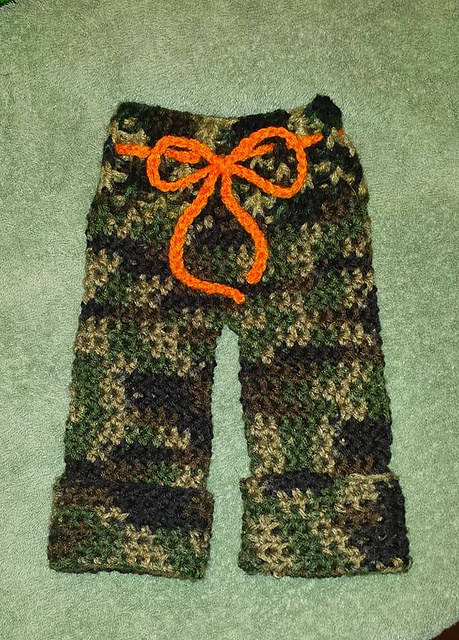 Jumping to the second pant leg, place 2 hdc's in the st with a stitch marker from row 19. Proceed to place 1 hdc in each st around. There will be a total of 44 stitches. Use the tail from the first pant leg, to wip stitch the crotch hole shut.